Here is your Scorpio Horoscope for August 2018. Every month, you will find at WeMystic the astrological forecasts for your zodiac sign. August will be a hectic month for the followers of Scorpio in the emotional realm. The entrance of Lilith into the IV House of the sign of the scorpion represents the awakening of old grudges within your birth family. These can cause friction. It is advisable not to focus on the negative and to take advantage of this transit in order to bring to light whatever you have kept hidden and then heal it, considering that the South Node of Karma (what we must overcome in the present incarnation) will be at this same astrological point. On the other hand, the entrance of Venus into the XII House of Scorpio on August 6th announces the reappearance of a past love. If you would like to have a sincere reconciliation, go deeper than the surface to avoid repeating the same patterns that led to the break-up. Similarly, with the beginning of the retrograde of Uranus in the VII House of Scorpio, break-ups are a possibility between couples, but before taking a step in that direction, evaluate if it is just a momentary explosion or if you are really convinced of what you want to do. 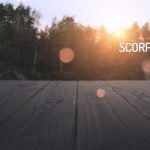 The finances will remain stable for the sons and daughters of Scorpio during August. The start of the direct phase of Vesta in the II House of the sign (08/01), will facilitate the administration of your available cash, which means that even with restricted funds, you will know the best way to take advantage of the situation and comply with any previous commitments. In the workplace, the presence of Chiron in retrograde in the VI House suggests that you should spend time reflecting on work routines and professional relationships. Maybe you spend too much time on situations and people that are not your responsibility, neglecting your own tasks. Or on the contrary, maybe you try to use your occupation as a distraction from other facets of life. Another aspect to consider during this period of the year is that Mars (one of the natural rulers of Scorpio) will enter the III House (08/12) as part of its process of apparent retrograde. It will coincide with Pluto and Saturn in retrograde in this location too. The fact that your two ruling planets (Pluto and Mars) in retrograde are in the same sector next to Saturn (also in retrograde), indicates that it is an area with a lot of potential for transformation for you. Since this event occurs in the III House of Scorpio, it refers to the way you handle your thoughts, how you communicate with others (and yourself), mobility in your surroundings and learning skills or those that you use when studying. Pluto, Mars and Saturn in retrograde in the III House of Scorpio demonstrate excessive perfectionism that you sometimes embrace, tyrannizing yourself, or the way you take value from others’ ideas that do not match your own, generating conflicts and rivalry around you. Although it may seem like a difficult planetary position, the truth is that with Pluto, Mars and Saturn in retrograde in your III House it is possible to rein in those harmful patterns and work to be more flexible and receptive (not only towards external proposals, but also your own goals). Finally, the partial eclipse of the Sun in Leo, which will take place on August 11th and will impact the X House of Scorpion, signals the emergence of initiatives that will improve your professional image and the consolidation of previously proposed work objectives. While this solar event could indicate promotions, job changes or starting a business, keep in mind that Mercury will be in retrograde in the X House (until 08/18), so it does not concern immediate changes, but rather those that will require time and dedication on your part. August will be a quiet period for students of Scorpio in which they can enjoy free time. Activities (recreational or academic) with friends and coworkers have a positive outlook. In general, the natives of Scorpio will enjoy good physical health during August. The presence of Jupiter and the asteroid Psyche in the sign of the scorpion indicate that your focus will be on inner growth: work on whatever you consider to be your most vulnerable side and heal old wounds. This trend will be reinforced by Chiron in retrograde in the VI House of Scorpio which alludes to reviewing the life habits (from another perspective) that threaten your physical and emotional health, fixing their causes and not just the most visible ones. For example, if you have a hoarding problem, analyze what drives you to purchase things or what need you are trying to satisfy, beyond the financial mismanagement and need to fill space problems which are evident at first glance. Do not forget that Pluto and Mars, natural ruling planets of Scorpio, will be completing their period of retrogradation: Pluto in the III House of Mars (next to Saturn) and Mars in the IV House. However, the warrior planet will enter the III House of Scorpio (08/12) and will remain there with Saturn and Pluto in retrograde even until the end of its apparent phase of retrograde on the 27th. With Pluto, Mars and Saturn in retrograde in the III House of Scorpio, you may experience frequent episodes of vertigo and stress, motivated by the (self-imposed) demands on your shoulders. The available alignments will enhance your search for improvement, but the results will tend to frustrate you (regardless of their nature), instead of helping you to recognize the unrealistic side to your proposal. Because of this, your mood will tend to be aggressive, leading to altercations and even rivalries with people in your immediate surroundings, mainly neighbors, coworkers and siblings. Instead of getting carried away by negative feelings, it is a good idea to take time for meditation or reflection. The retrograde planets in your III House, together with Jupiter in Scorpio, are a sign to connect with your interior and recognize your personal value. You must be the one who offers love in the first place, because only when you love yourself are you able to share that gift to others from a sense of fulfillment and not from fear. If you suffer from regular episodes of exhaustion, respect your resting hours and practice relaxation exercises and other activities that generate a state of tranquility (reading, walking outdoors, yoga).